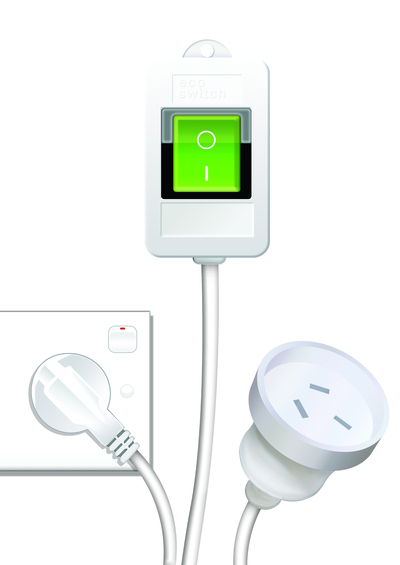 30% off Ecoswitch for a limited time for Money Off readers. One of the easiest ways to reduce your energy bill is reduce the amount of wasted energy within your household by ensuring appliances are switched off and aren't left on standby. With so many appliances within a typical household, many with plugs hidden behind the appliance, behind the couch or under a unit, this can be a time consuming task that many people just don't bother to do. 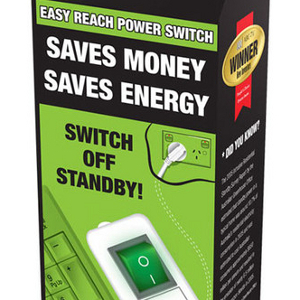 This is why the EcoSwitch was developed to make switching off quick, easy and hassle free to save you money. 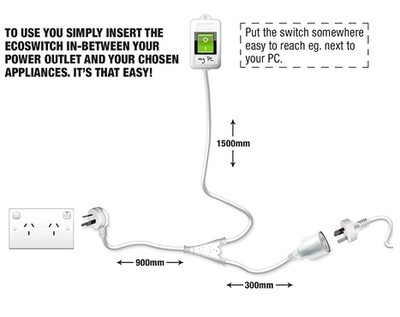 The EcoSwitch works a little like an extension cord with a remote control switch, but unlike other 'power savers' that continue to use standby power, the EcoSwitch doesn't use any power whatsoever. All you need to do is plug your EcoSwitch into the power outlet, insert your appliance into it and then put the energy saving switch somewhere easy to reach. It is estimated that by eliminating wasted standby energy, that the average household's electricity consumption can be slashed by over 10%, representing savings of at least $120 per year (2005 statistics: *Australian Greenhouse Office). For 7 days only, you can get 30% off your purchase of Ecoswiches. Simply head to and when you are ready to make your purchase, enter the coupon code TAKE30 at the checkout. This discount is applicable for multiple purchases too and free shipping applies when you order 4 or more. Offer expires: 27 April 2014.